It’s nearly Christmas Eve, you’ve spent the day racing around town running errands and shopping like a mad woman Now that you’re back inside you need a little something to warm you up and take the edge off your frazzled nerves. 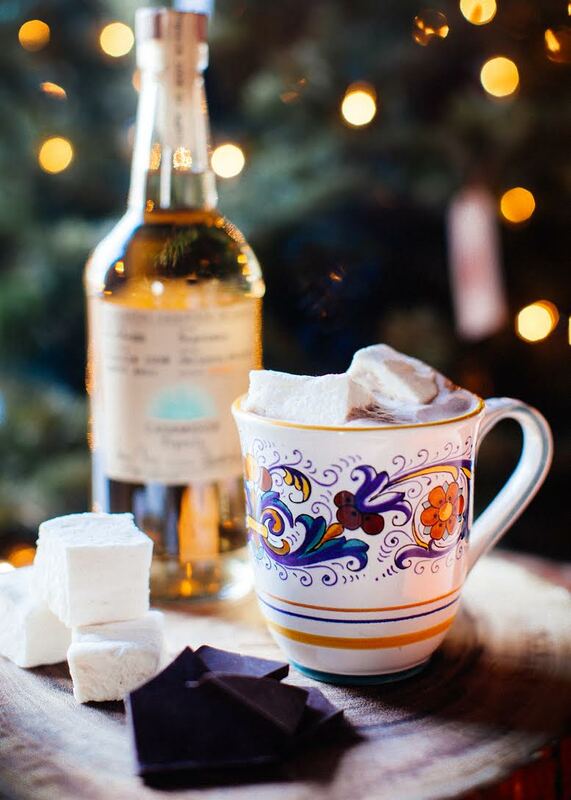 Look no further than a yummy Mexican Hot Chocolate, which combines all my favorites: warm cocoa, a touch of cayenne to keep things nicely spicy and smooth and mellow Casamigos Reposado Tequila. This recipe, courtesy of mixology superstar Pam Wiznitzer, calls for garnishing with homemade marshmallows. I think it’s OK to substitute store bought, though. You’ve had a rough enough day already.